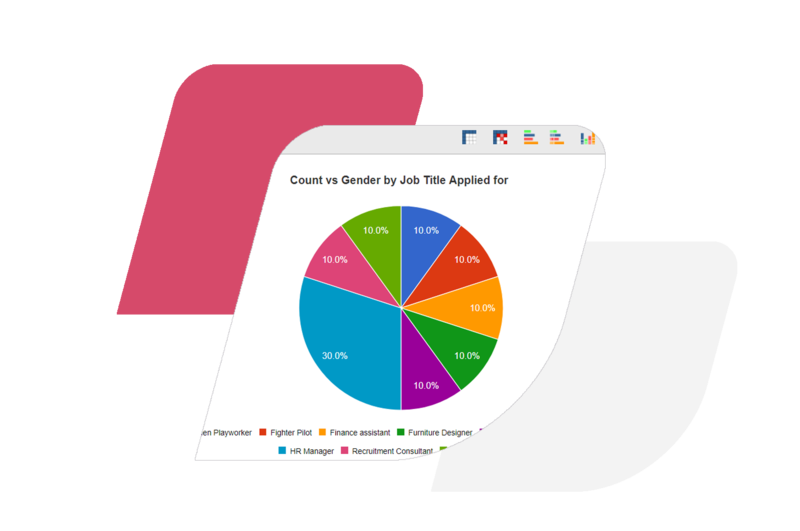 Bring your recruitment data to life with the Hireserve ATS data visualisation tool. When you’re looking at a report in Hireserve ATS, you can hit the ‘Visualise’ button to convert that report into a colourful and engaging diagram. Using a simple drag ‘n’ drop interface, change your data into a bar graph, a pie chart, a heat map and more. You can add and remove rows, columns or data sets instantly, to create an engaging, unique and accessible data visualisation.